Would it be clichÃ© to say how cool it was yesterday to tune into another radio station besides ds106 radio? It has been more than a year since the web internet radio station was activated by Grant Potter. There’s been a ton of interest, but I’ve been anxious to see who would be the first to take on hosting their own station. It is a group of 7th and 8th grade students at Turnberry Central Public school in Ontario who came on the airwaves yesterday at 105TheHive. This came about after Heather’s own experiences in doing live music performances on ds106 radio, and with some pointers from Grant Potter and a lot of behind the scenes assistance from Andrew Forgrave, it came to be. 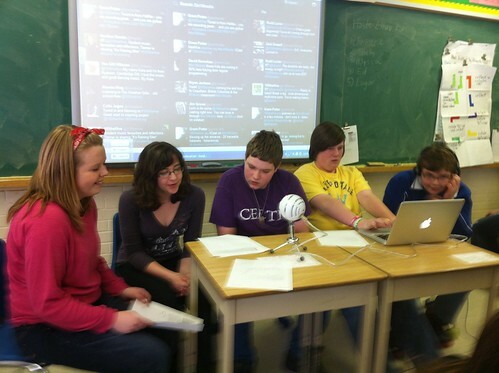 Heather Durnin’s students came on live at noon yesterday, with student created station “bumpers”, and a live show (“Welcome to 105 The Hive where learning is the buzz of life”) hosted by Cori and Ethan. In this show, the students shared results of their music project where they analyzed various styles of music (“thankfully no one chose Justin Bieber”) for audio elements. I have a full archive of this session; I simply tuned into it via iTunes and then rebroadcast the signal out to ds106 radio (where we had a max of 28 listeners). 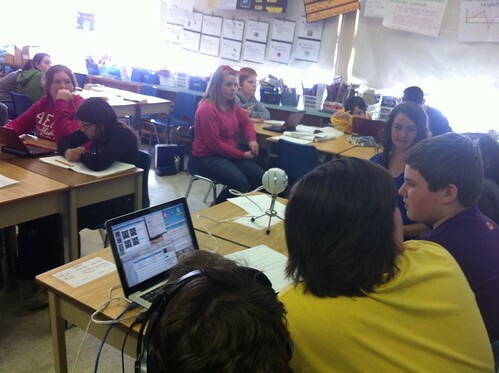 The radio station is another evolution in the Idea Hive collaboration Heather’s students have been doing with the 7the/8th grade students in Clarence Fisher‘s class 2700km away in Snow Lake, Manitoba. Just like ds106, on 105TheHive will carry an autoDJ of student selected or created audio as well as live broadcasts from the students, and possibly more classes that might join in, quite likely some of Andrew Forgrave’s. 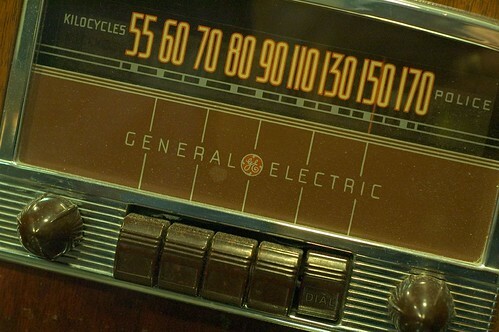 So now there is a sister station to ds106 radio, find out how to listen at http://105thehive.org. And there is plenty of room on the dial. It takes a community to build something like this, and that community is growing. Again, a huge thanks to the ds106 community. It’s going to be a great learning experience for us all. We have listened to the Turnberry 7 & 8 students (one of whom is Wayne’s grandson Tanner) twice today! The technology and the accomplishments are incredible!